Hiring success requires solid functionality for recruitment marketing and collaborative hiring, but also a broad ecosystem of recruitment services. SmartRecruiters Marketplace offers 350+ fully pre-integrated vendors into our Talent Acquisition Platform. This means that you can use them from within our platform, which creates a far more streamlined experience that saves hours of time. If you’re already using a specific vendor, odds are they’re in our Marketplace. If not, invite them to implement the Marketplace API and we can easily add them at no extra cost. 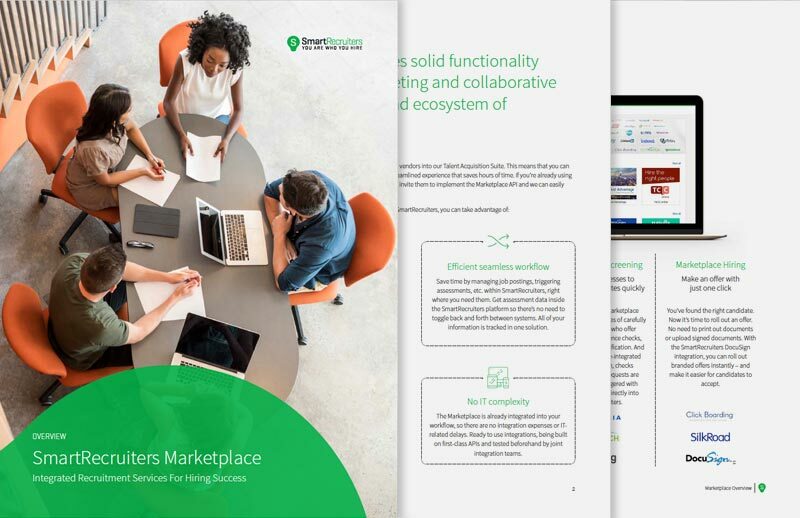 Download the Marketplace Overview to learn more.